Tub, shower and sink blockages are no match for the new RIDGID® PowerClear™ Drain Cleaning Machine. The compact and versatile machine eliminates clogs from lines ¾” to 1 ½” in diameter without the mess. The PowerClear features Autofeed® technology to keep users hands clean and free from touching the cable while advancing and retrieving it in the line. 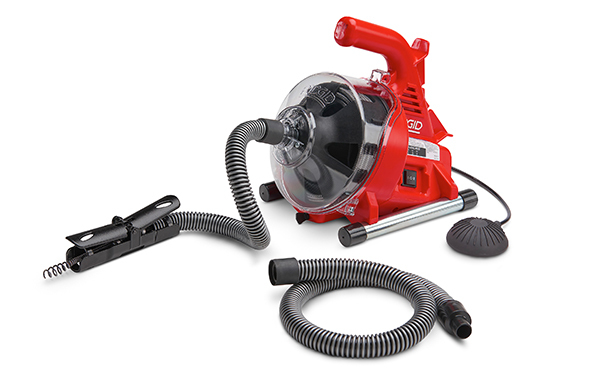 A guide hose also helps to keep the work area clean, making it the ideal machine for residential or commercial use. Weighing only 12 pounds, the lightweight design of the PowerClear makes it easy to handle while still being powerful enough to clear the toughest blockages. Its 120V motor feeds cable at a rate of 18 feet per minute to a maximum of 25 feet, and its clear cover allows users to view how much cable is remaining. The heavy duty inner core cable is also purpose-built for long life, increased strength and kink resistance. An easy pull drain plug extends cable life by draining excess water from the machine after each use to help avoid corrosion. 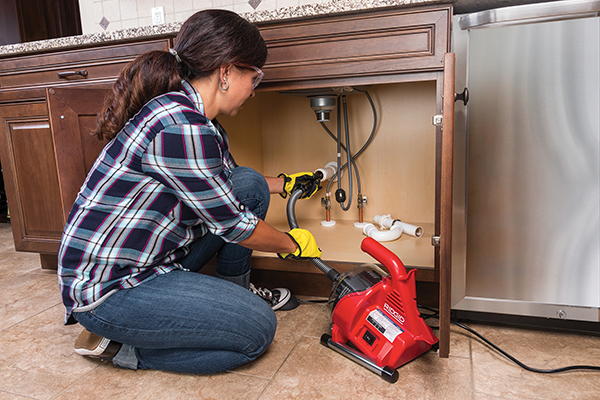 “Drain cleaning doesn’t have to be messy thanks to the new RIDGID PowerClear. 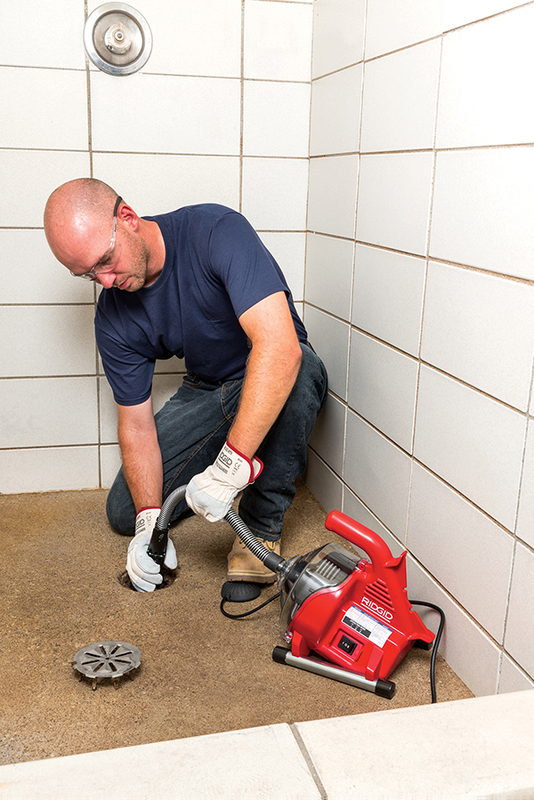 It’s been designed with not only the professional in mind but also the at-home user who wants a lightweight, yet powerful, drain cleaning machine to eliminate common blockages found in tubs, showers and sinks,” said Larry Feskanich, RIDGID Global Marketing Manager. For additional information about the UC-60 Crimp Head, RE 6 Cable Termination Tool and other RIDGID products, please visit RIDGID.com or call toll-free: 1-800-769-7743. Also stay connected to the latest RIDGID news by following RIDGID on Facebook, Twitter, Instagram and LinkedIn.